Smart, trendy with attention to aesthetics. 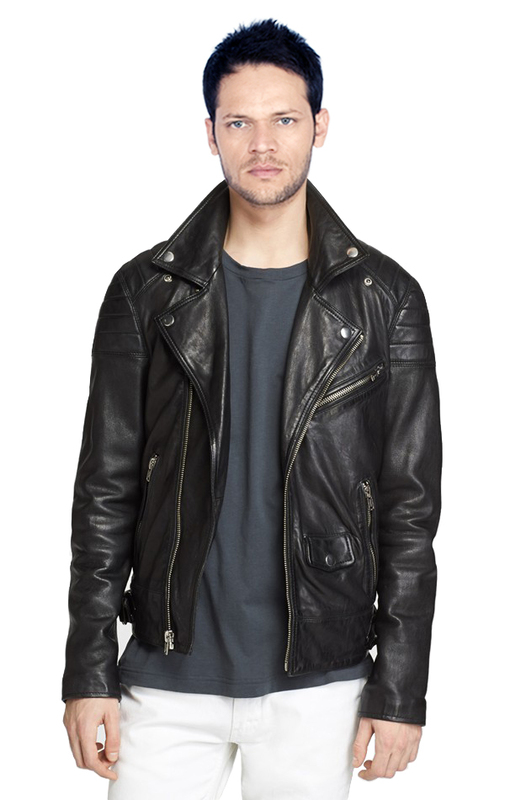 This biker jacket is for the young at heart. Featuring a snap down collar, it sports classic trims like padded shoulders and patched elbow. A lower back panel detail adds an element of intrigue. Chest and side zip pockets accentuate the off center zip closure besides providing utility. 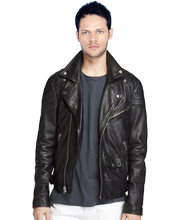 Long sleeves with zipper cuffs seal the biker look, giving you a smart and dynamic appeal.